Summer is hard, right? Everybody is doing cool things like kayaking and eating beautiful salads and everyone is always at the beach. Everyone except you, right? But what if you just jumped up and started doing all of those things? What if you just left your full-time summer job that pays for your books every school year and just ran off to the beach? Wouldn’t that just be perfect? Nope. Don’t do it. FOMO (Fear of Missing Out) is a real thing and it hits especially hard during the summer because this is the season where you’re supposed to be having fun all the time. But, you’re not having fun all the time…people on Facebook and Instagram are and you’re jealous. Well, right about now is the time to remember that people’s social media feeds are just their highlight reels. I bet yours is too. Your Instagram probably isn’t filled with pictures of you dressed in your pancake house uniform or the Excel sheets you stare at all day or the dirty chair where you read to the kids you nanny. But those things are what provide you with the funds to get ahead and pay for college. And that’s just it. You shouldn’t buy into Susie’s Instagram feed because it’s not showing everything she’s up to every day. It’s impossible to completely banish feelings of FOMO, but here are some things to keep in mind when FOMO sneaks up on you. You’re living like a college student now so you don’t have to later. Do you want to live like you have money now when you have no money or later when you have money but have too much debt from trying to live like you had money in college? Trying to live it up now means taking on excess debt and maxing out credit cards to make room for a lifestyle you just can’t afford. And if you do that, you’ll be paying for it later (literally). “Yeah, but who cares?” Future you, that’s who. Future you doesn’t want to be paying for college you’s wardrobe and luxury apartment when future you has to move back in with mom and dad because future you can’t afford to live on your own. When you say “no” to something you want in exchange for saving for something you need, you’re learning a critical life lesson a lot of people don’t understand. Their future self will not be happy with them down the road, but yours will. Knowing your wants from your needs is an essential skill in life and the earlier you learn, the better. …and you may not want to! By not giving in to your FOMO you may also be avoiding peer pressure. It’s important to do what you like, not what everyone else likes. Don’t waste your money and your time on things just to try and fit in. Spend those valuable resources on things that are important to you. And more importantly, save for those big goals you have. By not participating, you’re saving money. This is the biggest thing. 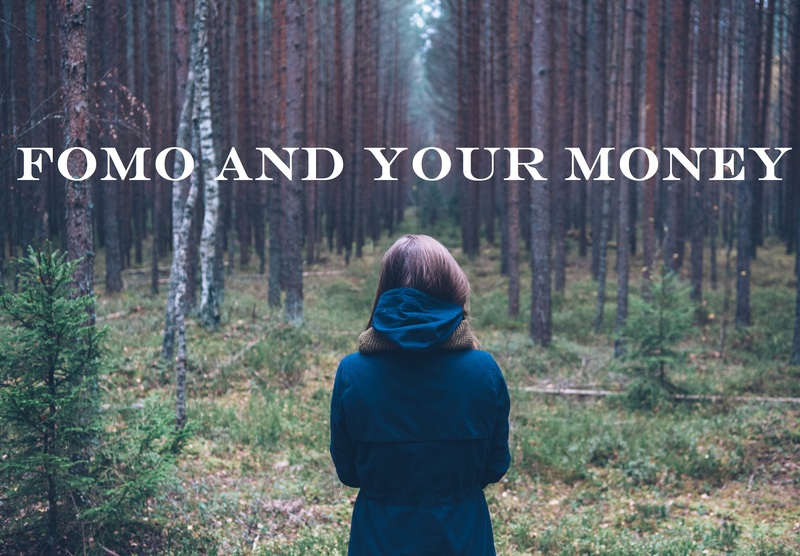 If you are constantly doing things because of FOMO, you’re going to strapped for cash really fast. But, if instead you’re happy and content and ignore that FOMO, then you’ll have a lot more money to spend on important things…like, you know, your textbooks and groceries. And the adventures future you will want to have! Have you conquered FOMO? Share your tips in the comments below!